Person centered, holistic recreational programming six days a week facilitated by a team of Therapeutic Recreation Specialists. 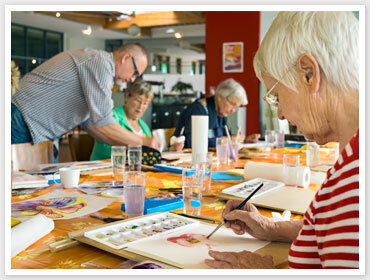 Weekly entertainment and monthly programs such as bus outings, homemade breakfasts, baking, games, and crafts. Pet therapy and music therapy services.